August and September brought a number of exceptionally large natural disasters. While the hurricanes and earthquakes in the news over the past couple of months haven’t hit Minnesota directly, many MCF members have stakeholders that were impacted – employees, grantees, partners, trustees – and our philanthropic community has been quick to respond. A great example of Minnesota philanthropy in action, below is a sample of some of the disaster responses from MCF members. If your organization is missing from this list, please let us know and we will add your contribution! When a disaster strikes, community matters more than ever. Join MCF’s Disaster Philanthropy Working Group to connect with peer funders around disaster preparedness, response, and recovery. We also encourage our members to look for resources from the Center for Disaster Philanthropy and their Disaster Philanthropy Playbook. 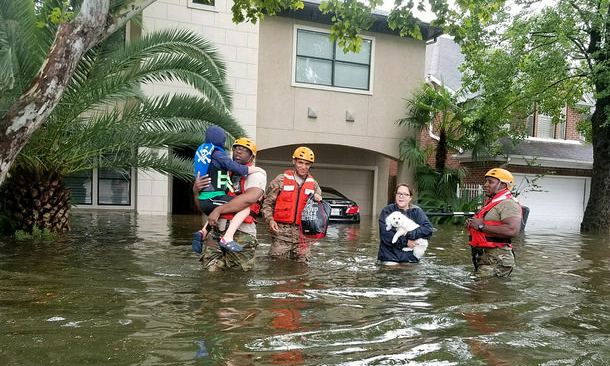 The Center for Disaster Philanthropy is an MCF member and has created four funds to support recovery from this tragic disaster season. Want to connect with other MCF members on this topic? Join us for a discussion on October 9. MCF is organizing a GoToMeeting call for members to share how they are responding and to ask questions and share resources with one another. Nancy Beers from the Center for Disaster Philanthropy and the two co-chairs of MCF's Disaster Philanthropy Working Group, Holly Sampson and Dan Frank, will serve as resources on the call. Register here. Start a conversation on the Disaster Philanthropy Working Group Hub page. For example, Amy Rosenblatt Lui, Executive Director of the Beverly Foundation, Fingerhut Family Foundation, and the Ronald Fingerhut Family Foundation, shared about Hurricane Maria’s impact on the island of Dominica and the work she is engaged in there on the Hub.